​ I have been hitting the “unsubscribe” button a lot this week. I even unsubscribed to some of my favorite places to shop, like Bombas socks and Taos footwear. I love both of these products but once and sometimes even twice a day is just too much! I know everyone is fighting for your dollars and they want to keep the face of their business out in front of you but eventually it just annoys me more than brings me pleasure. Many quilt shops have a 12 days of Christmas event during this time, where they send you emails and posts on Facebook for 12 days in a row. I almost feel like it is cruel and unusual punishment to subject you to all of those emails, even though some of the deals are great. Besides, I think it would be more fun to give away things to you than tempt you with some bargains. This year our theme has been generosity, so we are going to continue that through the end of the year. Beginning on December 12th we will post an item on the facebook page each day. You will have a full 24 hours to respond to the post, then we will randomly choose one of the posts as a winner. So stay tuned, we promise we will not bombard you with emails, and hopefully you will get a little Christmas gift for yourself! Just arrived! A great Christmas gift for you! The importance of "Quiet Time"
Sometimes I feel like the tea pot in the nursery rhyme, I feel like my pot is boiling and I cannot take it anymore. The hustle and bustle of the holidays is one thing, but throw in all of our end of the year planning and beginning of the new year planning, and it just is enough for a girl to need to release a little steam to take it all in. When this happens, and this is the time of the year when it is the worst for me, I have to remember to take time to meditate. You might just want to call it “quiet time” if the word meditate is too weird to you. This has nothing to do with practicing an Eastern religion although I am not knocking that. But if I can sit quietly with my mind empty for twenty minutes, a calmness comes over me, and I can handle all the pressures of the day a bit easier. I highly recommend it if you are feeling like you might have more than you can do and feel yourself “getting all steamed up”. Maybe you only have time for five minutes, just give it a whirl. 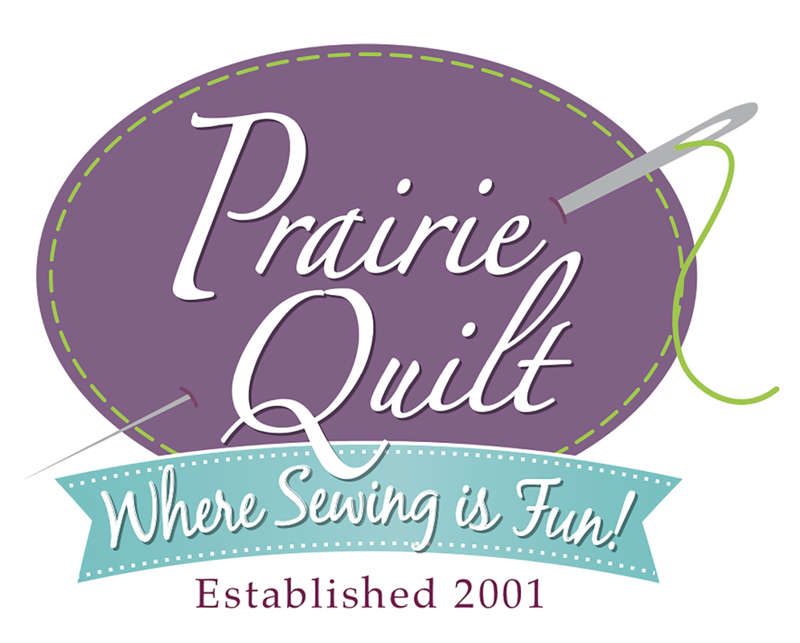 Let me know how it worked for you on the Prairie Quilt facebook page. I would love to hear your thoughts. As far as the big takeaway at this year’s market regarding fabric it has to be the digitally printed Cuddle. I know, you are thinking Elvis on velvet but it could not be further than that. The print was so clear, crisp and vibrant I literally had to touch it to convince myself that it was actually Cuddle. Floral prints, animal prints, it didn’t matter what it was, it is stunning. Expect arrival in January. 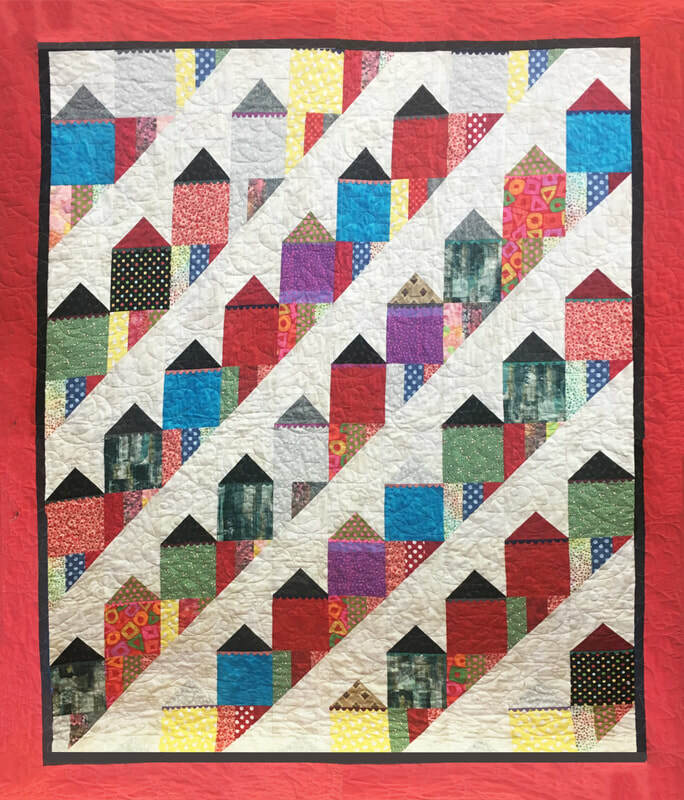 Houses, houses dominated the pattern industry. Still our favorite pattern of houses is the picture attached, this pattern is not terribly new, but I did not see one that topped it. Wool purses made a big hit, they are pre-cut, then you embellish them in anyway you wish. We also ordered wool full size ironing board covers. Market is extremely expensive, but it is so worth it, when we can bring to you what is trending on the market. Hope you like our acquisitions. ​Day Three – The tradeshow floor opens at market. This day there is no problem in reaching the 10,000 steps of my daily goal; the place is huge. There are so many vendors that it can be overwhelming to anyone attending market for the very first time. I have been coming for 16 years, where has the time gone? 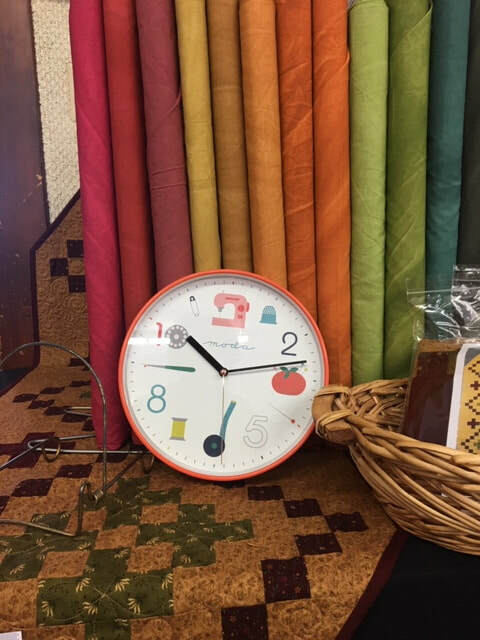 With well over 400 vendors and 117 fabric companies, it takes over a day to just get through it. I walked about 75% of it before the doors closed, and I was going very, very, fast. We will be here two more days but it will take that long to do a thorough walk through. Then Lita, BJ and I get into a final huddle of what we feel is the very best of market to bring home to you. Kent flew down for just a day to check out long arm quilting machines. It looks like we will be offering the Handi Quilter machines! He tried every long arm on the floor and found this brand to be by far the smoothest to drive and the best built. The features are incredible. If you are in the market for a long arm machine then this is great news, we will be closing out our two Tin Lizzie machines we currently have at a huge discount. Check with Kent if this might interest you. Make Yourself At Home fabric, traditional applique and embroidery CD come in February. This market report would not be complete without mentioning two leading ladies in this industry, Kim Kristopherson and Kris Thurgood. I cannot give enough accolades about these two. Kris is the owner of My Sisters Quilt Shoppe, located in Midway and Logan, Utah, and she recently opened a third store focusing only on sewing machines in Sandy, Utah. Kim is the creator of Kimberbell, a company who designs machine embroidery and sewing patterns and books. They are both incredibly creative. Ideas seem to ooze out of them, and I could speak about their creativity all day, but that is not what I want to share. ​Here is the part I want to talk to you about concerning these identical twins. They have created a culture of generosity, integrity, and virtue within the industry. They are the most giving folks in this industry, willing to share ideas, and happy that someone else takes their ideas and runs with them. When we talk about people who are authentic, these are the two people who come into my mind. I am so pleased that they are my friends, and their generosity spreads through all of us in the industry. You can find out all about them by going to their websites.